Abduction is a french black metal band created in 2006. The first demo, “Heights’ Shivers” was released in october 2010. Obsessed with the flying of time, the band pays tribute to France’s History, heritage and majestic landscapes through long, intense and melancholic songs, solely sung in French. Inspired by bands like Dissection, Opeth and Primordial, ABDUCTION aims at creating something truly authentic, poured out of flesh and blood. 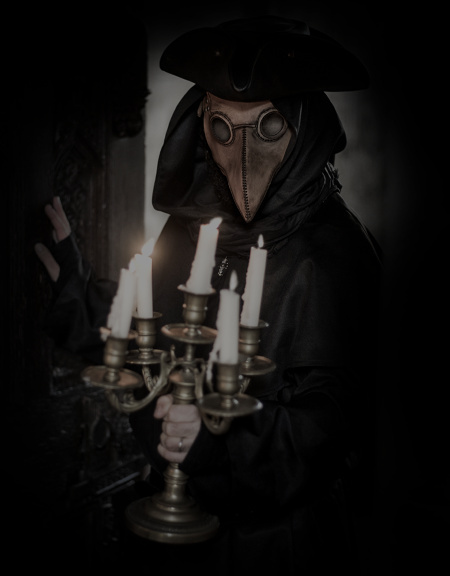 ABDUCTION is composed of four plague doctors: Guillaume Fleury (guitars), François Blanc (vocals), Mathieu Taverne (bass) and Morgan Velly (drums).